If you are looking for other ways on how you can add flavor to your water through a natural and healthy way, this Watermelon and Basil Infused Water recipe is what you need! Watermelon – contains a lot of vitamins A, B6, and C. It also has lycopene, antioxidants, and amino acids. Watermelon could also help in reducing body fat and blood pressure. Basil – contains anti-inflammatory and anti-bacterial compounds such as eugenol, citral, citronellol, linalool, and limonene. It also regulates blood sugar levels and fights cancer. 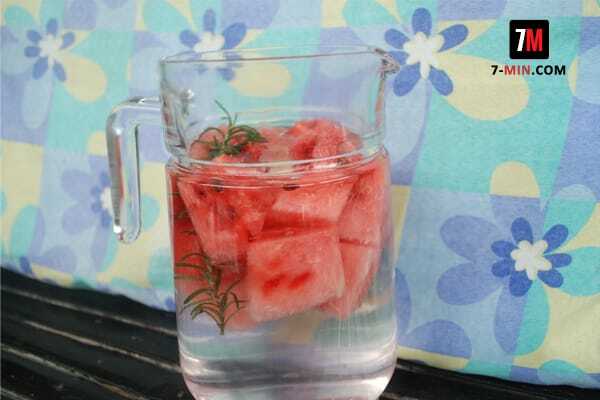 Stay hydrated and healthy with this Watermelon and Basil Infused Water recipe! Mix the ingredients together in a pitcher. Add ice cubes and a sprig of basil. Note: This recipe can stay safe in the refrigerator for up to three days.